The Drought intensity factor of D3 has triggered the (LFP) Livestock Forage Program for livestock producers in Kiowa County. Currently, eligible producers are eligible for a 3 month payment. 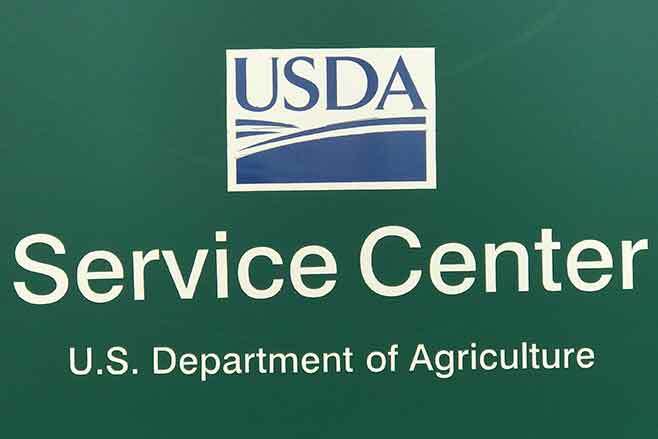 The FSA Office will be scheduling appointments for producers to apply for the program. Producers need to call the office @ 719-438-5851 and schedule an appointment. Producers will be required to provide the following on the date of their appointment. Proof of ownership or lease of eligible current inventory livestock. Receipts of livestock purchases. Livestock purchased after March 22ndwill not be considered eligible livestock for the program. Livestock must have been owned or leased 60 days before the beginning date the qualifying drought, for Kiowa County that date is May 22nd. Grazing leases (if office does not have on file). For more information concerning LFP, please contact the FSA Office. The deadline to signup will be Monday, December 31, 2018. The U.S. Drought Monitor placed a large portion of county into a D3 - Extreme drought category on June 6th. The northern edge of the county remains in a D2 category - Severe Drought. More details are available in this article. This past week the FSA Office received the updated information pertaining to the CRP Grasslands Program. Letters were mailed out to producers who had previously submitted Grassland offers under Signup #200 stating that their pending offer would not be processed and they would have to reapply under Signup #201. One problem that did occur with that mailing was that producers with current active CRP Grassland contracts were sent the same letter. FSA is reassuring those producers their contracts are still active and no changes will occur on those contracts. FSA apologies for the error and any confusion caused by the error. In Kiowa County, the rental rate per acre for Signup #200 was $15.00 - for Signup #201 the rental rate per acre will now be $6.00. F1: Current and Future Use - Maximum 30 points. CRP contracts that will be expiring on September 30, 2018 will be afforded a one-year extension on the contract. In Kiowa County there is only one contract that will be afforded the extension. The majority of Kiowa County CRP contracts will begin to expire in September 2020 through 2022.